One of my New Year's Resolutions was to do some up-cycling with my sewing projects. So here is one project I have done. 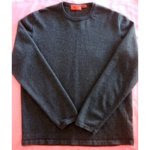 Philbert had a grey Eddie Bauer sweater a lot like this. (I forgot to take a picture before I cut it up... oops.) It didn't fit him well. So I commandeered it and felted it in the dryer. Here is my version of the backpack, using the up-cycled sweater. I loved sewing with wool. It still does not have eyes. I am not sure what to use for eyes. Applique eyes? Button eyes? What do you think? Bean loves her new backpack. 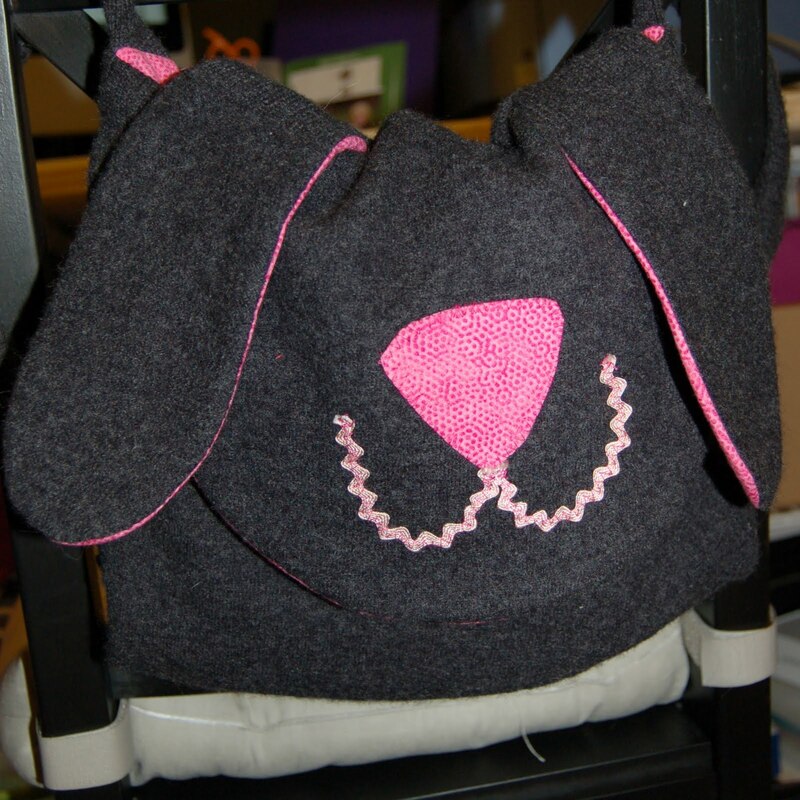 I think it looks a little more like a bunny then a dog, but that's ok. My next backpack will be made with an up cycled blazer/sport coat. I am thinking brown corduroy. I'll change a few things on attempt number two, but I am excited to hunt for the blazer. Perhaps I'll make a trip to the Shakopee Goodwill tomorrow. it's so cute! How about a tutorial?!?! I am going to do a tutorial when I do the next one. :) This one was rather "fly by the seat of my pants." Why have you not made me a backpack like that to match my mittens?! Books Reports - Catching Up!